Sometimes when you go out for dinner you want to really GO OUT. And, sometimes, you don't. Some nights out call for less fuss, more fun, when you just want to hang with friends, eat some great chow, maybe catch a movie, and have the whole affair be generally chilled as. We've found the perfect casual hang location at The Barracks. Weeknights or weekends, this spot has a plethora of great, low-fuss dinner spots to choose from. Add to this the fact the Palace Cinemas right there for your cinematic pleasure, and you've got an easy-breezy great night out at your fingertips. Here are our picks of The Barracks best casual dinner spots. 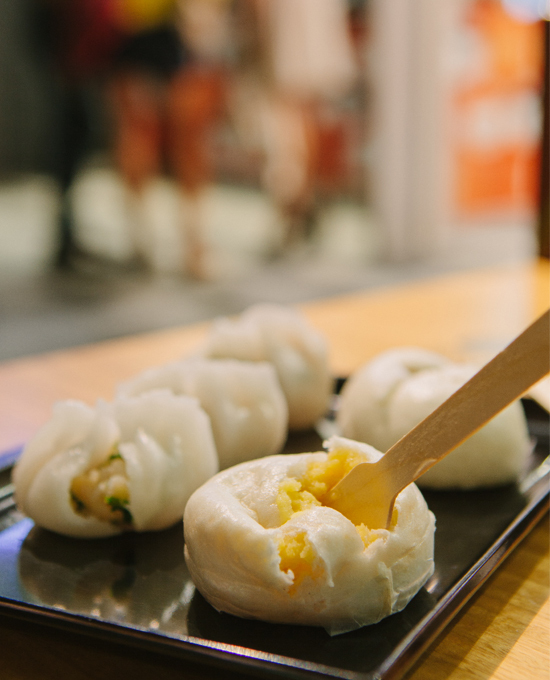 This aptly named eaterie is one of our faves for a quick dumpling hit. The dumplings here are handmade, and filled with such marvellous mixtures as chilli duck and and pork belly and bok choy, all served steaming hot and deliciously fresh. Pork buns, dim sum, and gyoza round out the tasty offerings. 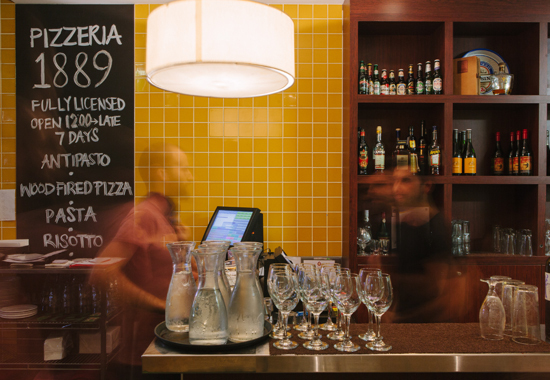 Perhaps unsurprisingly, Pizzeria 1889 serves up pizza, and they do it well. With a wood-fired oven, this authentic pizza joint adheres to the traditional Italian flavour combinations—think funghi with mushroom and garlic, calabrese with sausage and olives, and putttanesca with capers and anchovies. They also do great pastas, including a kicking lamb shank ragu, traditional carbonara, and pumpkin and sage risotto. Want a dinner option for a night out with the girls where you can have the feeling you've just majorly pigged out, without any of the associated guilt? Er, yes! 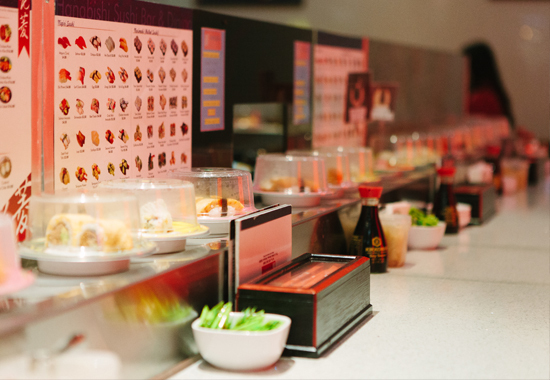 Hanabishi serves up super fresh sushi, sashimi, and other Japanese delicacies on a train for your picky-choosy convenience. There's nothing better than a good hybrid dinner venue. And FAB, a delightful mix of burger joint and gourmet fish and chips spot, is a delicious hybrid indeed. 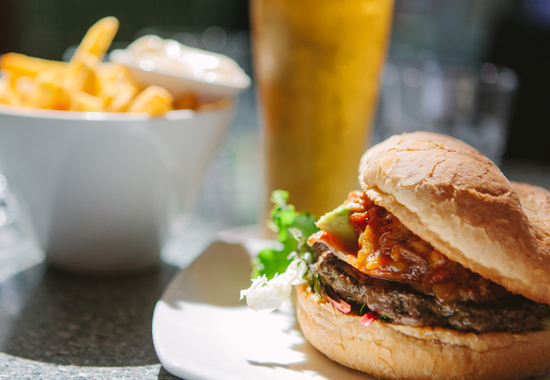 If you can pass up the salt'n'pepper calamari , beer-battered flat head, and sandcrab lasagne, there's always their killer burger list to tempt you. There's the Afterburner burger, with chilli beef and sour cream, the Miss Piggy, with pulled-pork and apple chutney, and the Wanda, with, yep, you guessed it, a crumbed fish fillet. There's also chicken, lamb, steak, and many tasty takes on your classic beef burger. So, what are you waiting for? Grab a group of pals, pool your pocket money, and head out for a great night of food, films, and fun.